Family friendly resort style property with excellent facilities, including spa, fitness center and kids club. Located in a nature reserve with beautiful beaches. 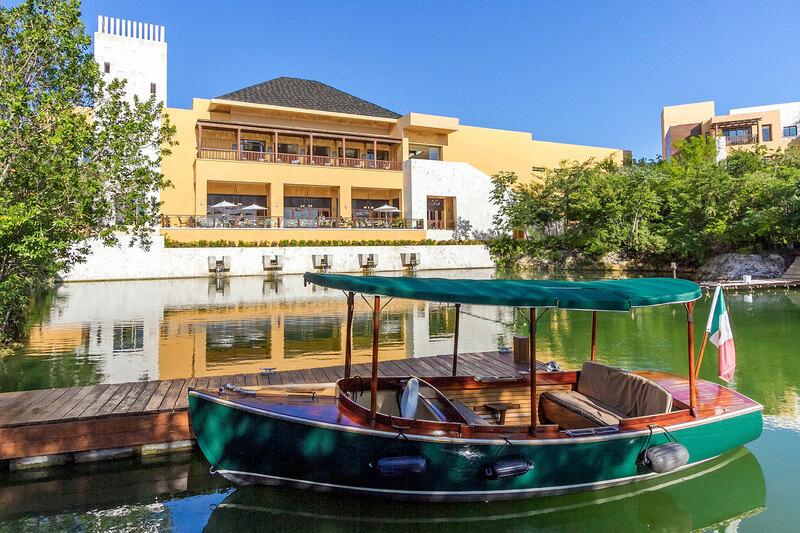 The Fairmont Mayakoba has a wonderfully unique design, with rooms and facilities arranged through acres of tropical forest and mangroves. 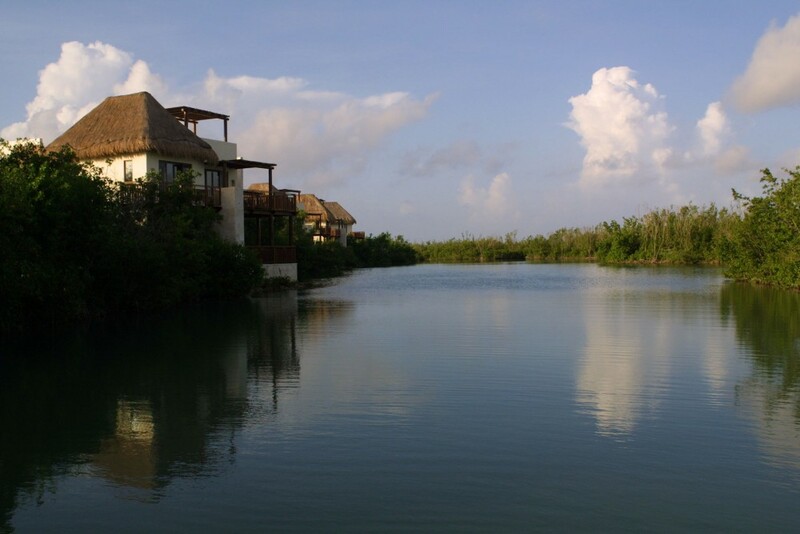 Mayakoba means ‘village of water’ and the design and feel is very much that of a small village. The small low-rise hotel blocks are more like little houses and they blend seamlessly into their natural backdrop. Inside, the rooms are elegant and spacious and offer state-of-the-art amenities. 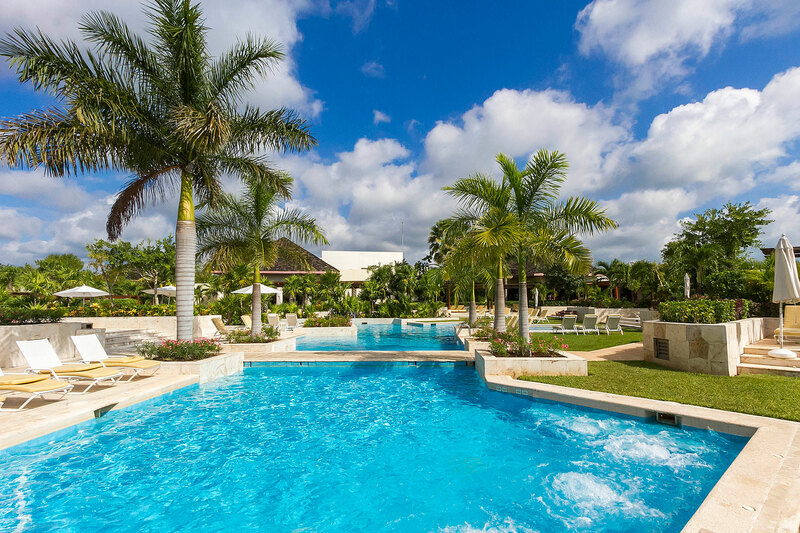 The estate is edged by a stunning Caribbean beach and crystal clear water. 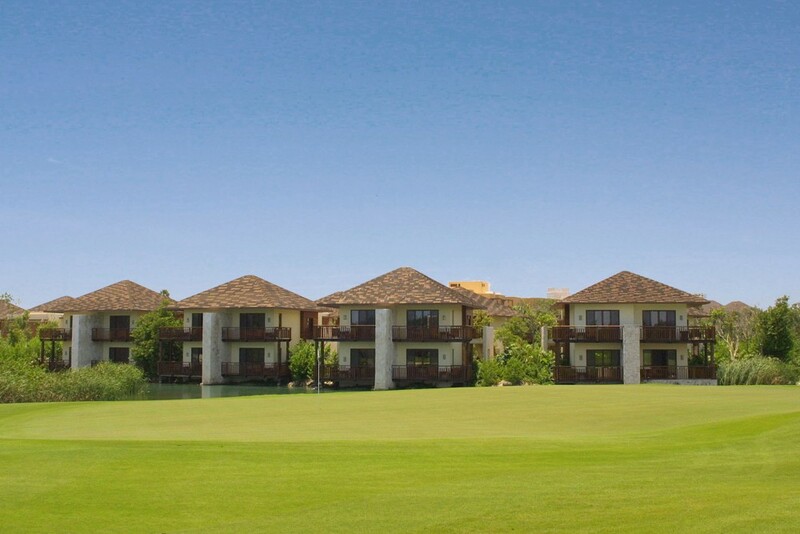 There are extensive facilities which include a championship golf course, fabulous spa and fitness room, and three swimming pools. 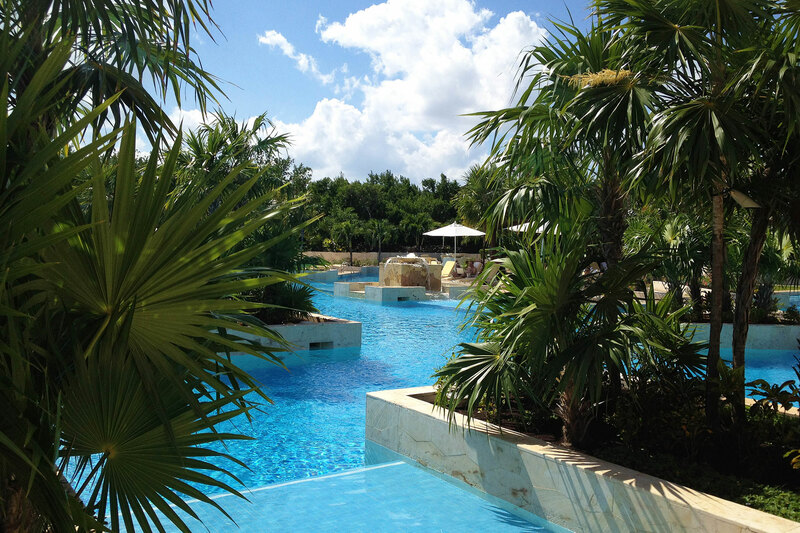 The Fairmont Mayakoba is perfect for those looking for an upscale family friendly resort. The hotel welcomes children and has clubs for both small kids and teens with lots of daily activities. Mayakoba is a new development of luxury hotels located 40 minutes south of Cancun Airport. The resorts are connected by a series of fresh water canals. 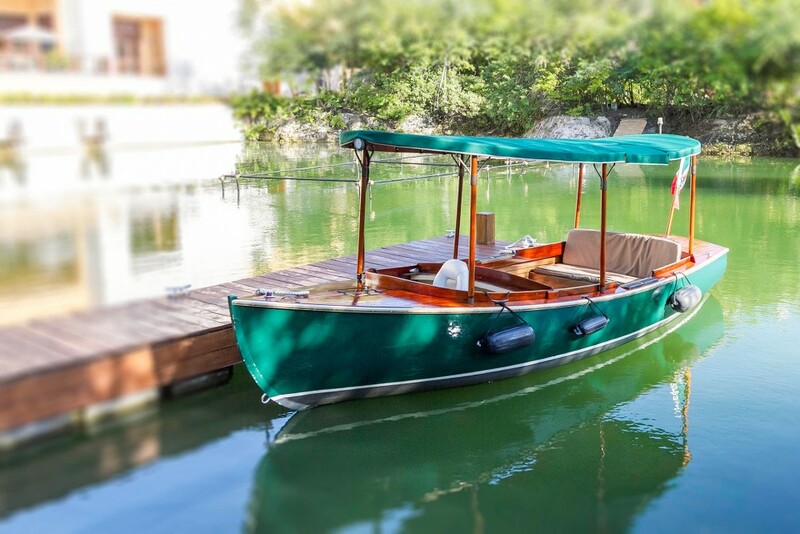 Together the resorts offer some of the finest spa and leisure facilities in the whole of Mexico, and are connected via road and water transportation systems. 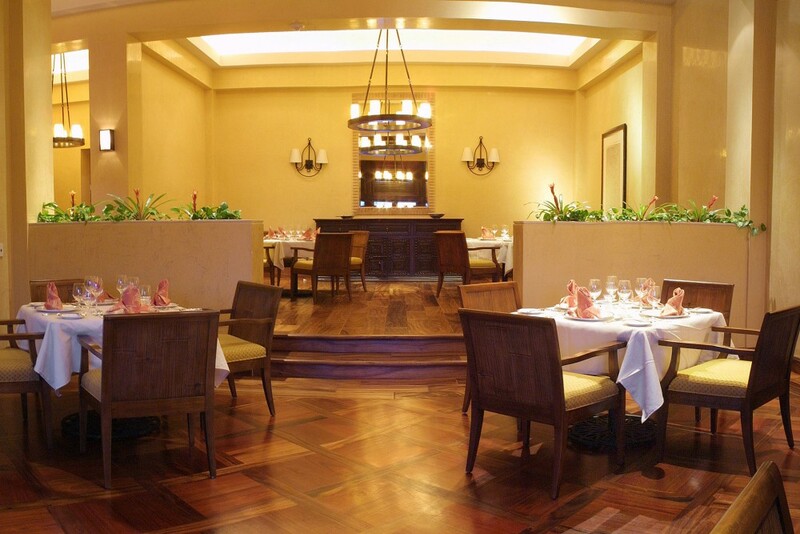 The Fairmont has three excellent restaurants offering a diverse range of cuisine from around the world. The hotel also offers Lifestyle Cuisine which is designed for the health conscious and uses only natural and unprocessed ingredients. 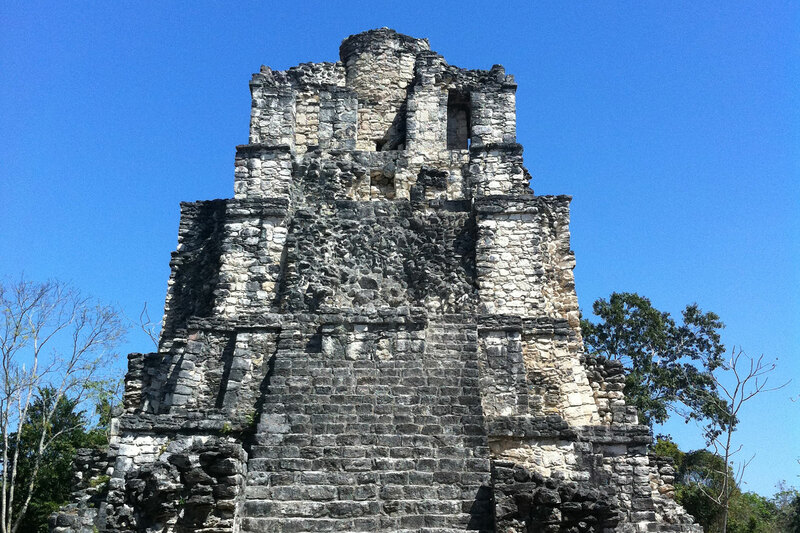 The hotel’s travel agency can arrange tours to many of the areas historical sites and natural wonders. The rooms at the Fairmont Mayakoba are spread throughout acres of tropical forest and mangroves. The small duplex hotel buildings look more like little houses; many are perched on the edge of one of the many fresh water rivers flowing through the property. The design gives the impression of a small Asian village. 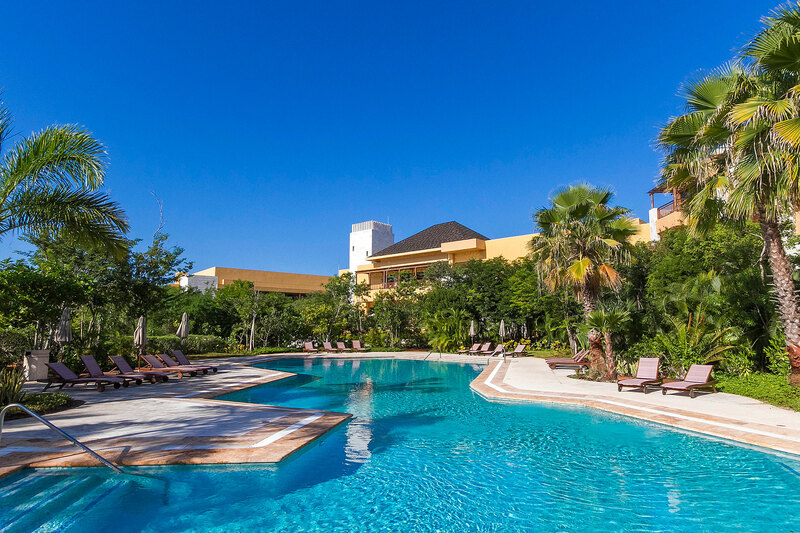 There are three distinct sections to the hotel: the Fairmont Rooms are located in a small low-rise block in its own pool area and close to the main hotel building, and are often used for conventions or groups. 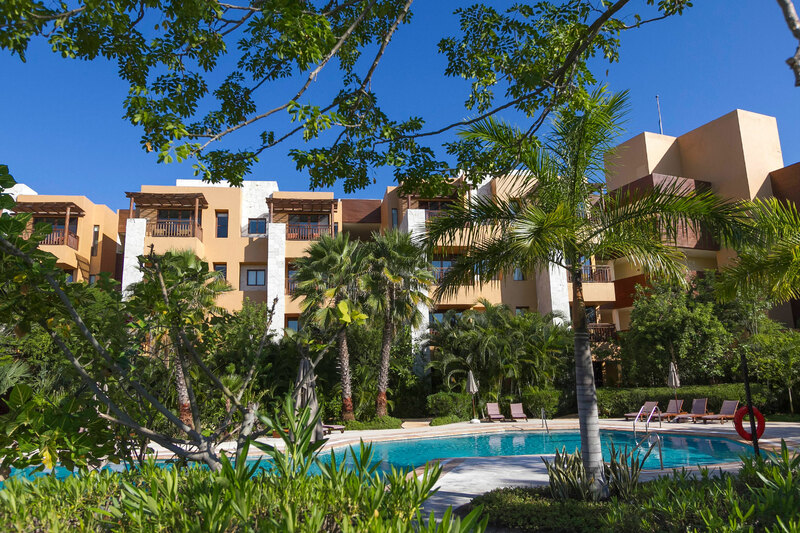 The majority of the other rooms (casitas or suites) are located around the lagoon area which includes the main swimming pool complex and La Laguna restaurant. 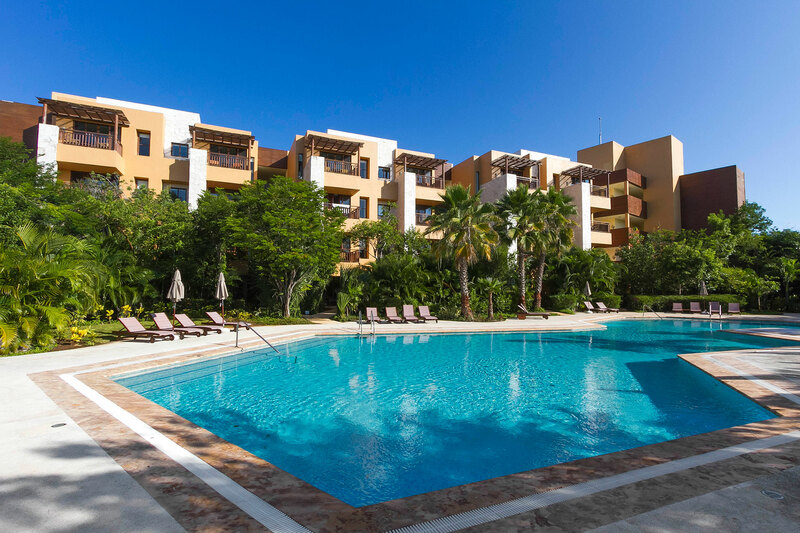 A few additional casitas and suites are located in the beach section; this area also has its own infinity-edged beachfront swimming pool and is close to Las Brisas restaurant. The suites are well worth a splurge for their extra space and prime locations, otherwise our favorite category is the Signature Casitas. Whereas the Deluxe casitas look out over the gardens, Signature Casitas have picturesque views of the lagoons and canals and we feel these capture the essence of Mayakoba perfectly. 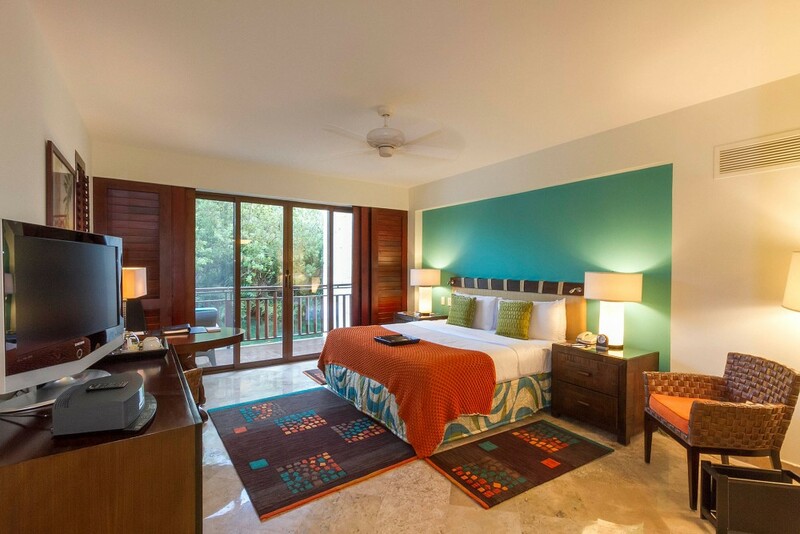 One king or two queen beds with views over the swimming pool and tropical forest. One king or two queen beds with views over tropical forest or mangroves. 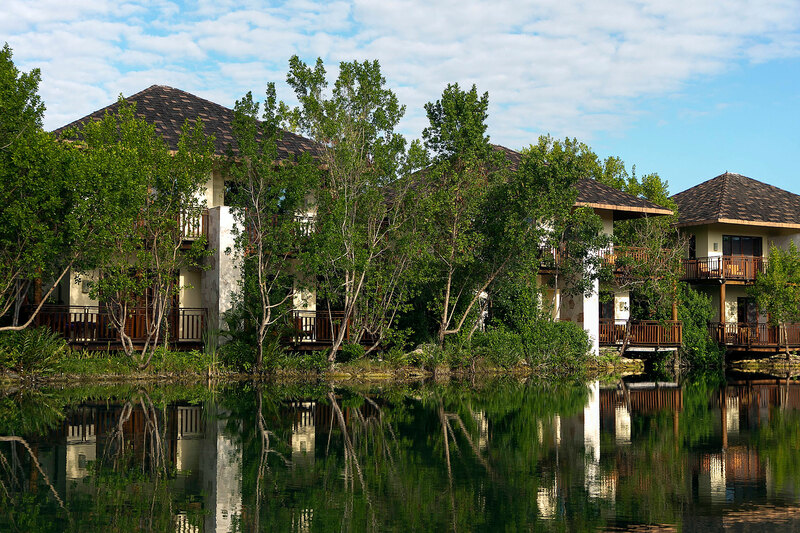 One king or two queen beds with views over the lagoons and fresh water canals. One king or two queen beds. Located in the private area of the resort, just steps from the beach with views over the lagoons and fresh water canals. One king or two queen beds. Separate sitting room and bedroom. 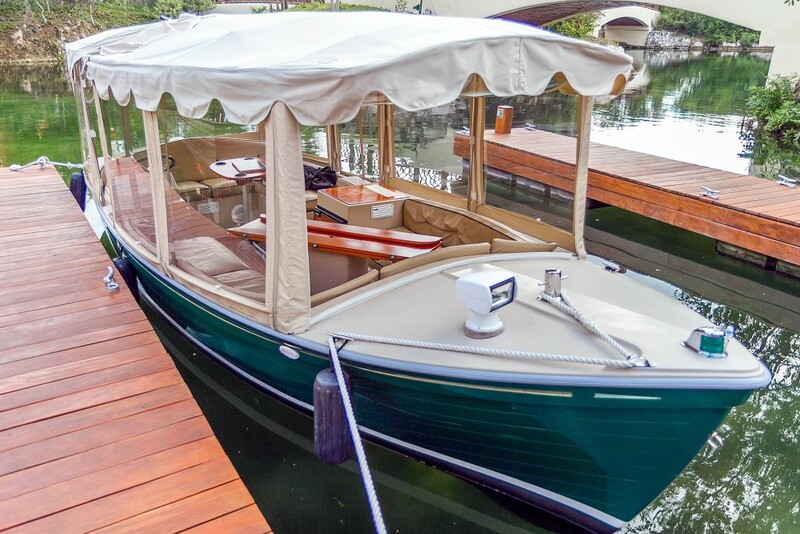 Large wrap around terrace with views over lagoons and fresh water canals. One queen bed. Located oceanfront with direct access to the beach and unobstructed ocean views. Exclusive butler service. One king bed. Separate sitting room and bedroom. 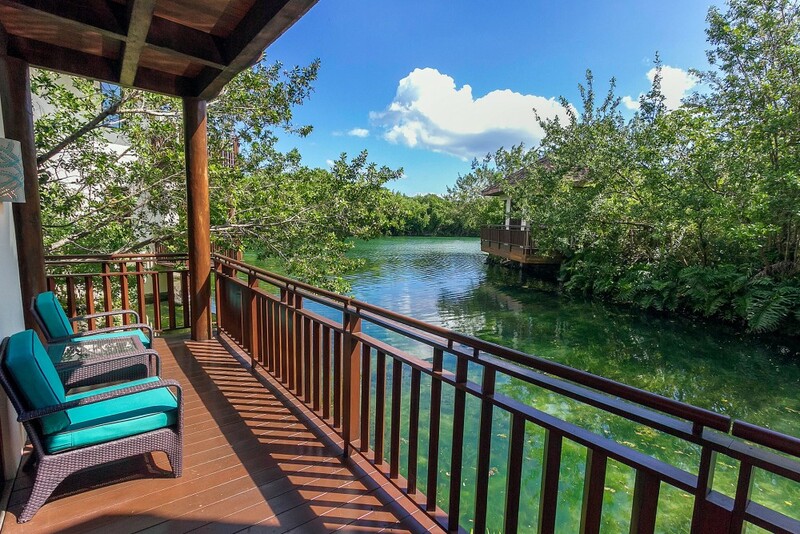 Located in the private area of the resort just steps away from the beach with views over the lagoons and fresh water canals. Exclusive butler service. One king bed. Separate sitting room and bedroom. Located ocean front with direct access to the beach and unobstructed ocean views. Large terrace with private infinity pool. The Fairmont Rooms are located in a small low-rise building close to the main reception area, an area known as the Bamboo Section. There are just 88 rooms in this area, and they are arranged over 4 levels. There’s an elevator, and this section has rooms dedicated to disabled visitors. The rooms are spacious and elegantly appointed and feature either one king bed or two queen beds. They face a small garden area with a swimming pool and the lagoon beyond that. Each room has a balcony or terrace with a sofa and table and chairs. The Bamboo Section is a little way from the beach but there is a swimming pool located directly in front of the rooms. 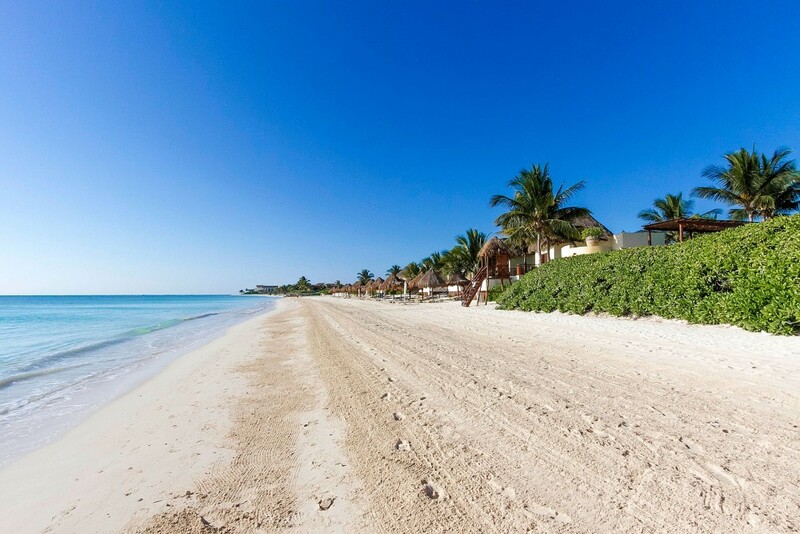 Golf carts are on hand to take you down to the beach whenever you want. The bathrooms are spacious and feature a large tub with views over the swimming pool and a large walk in shower. Cream marble floors and walls, glass and chrome pre-dominate and create a opulent and stylish space. All of the rooms at the Fairmont enjoy the best of modern amenities. These include High speed Internet access, 2-line telephones, flat screen plasma TV, CD player, movies on demand, mini fridge, safety deposit box and iron and ironing board. 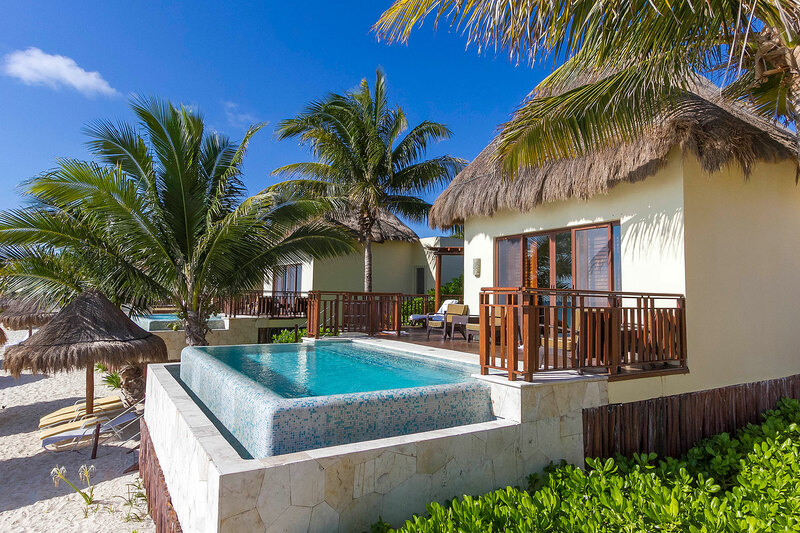 The casita rooms are located in the Lagoon and Beach sections of the resort. These rooms are in little clusters of just two or four rooms in pretty two story buildings that have a distinctively Asian design. The casitas have either one king or two queen beds. They are very stylishly appointed and feature comfortable chairs and a writing desk. They include the same amenities as the Fairmont Rooms: plasma TV, CD players and mini fridges. Large double wooden-shuttered doors lead to a spacious bathroom with lots of natural light. 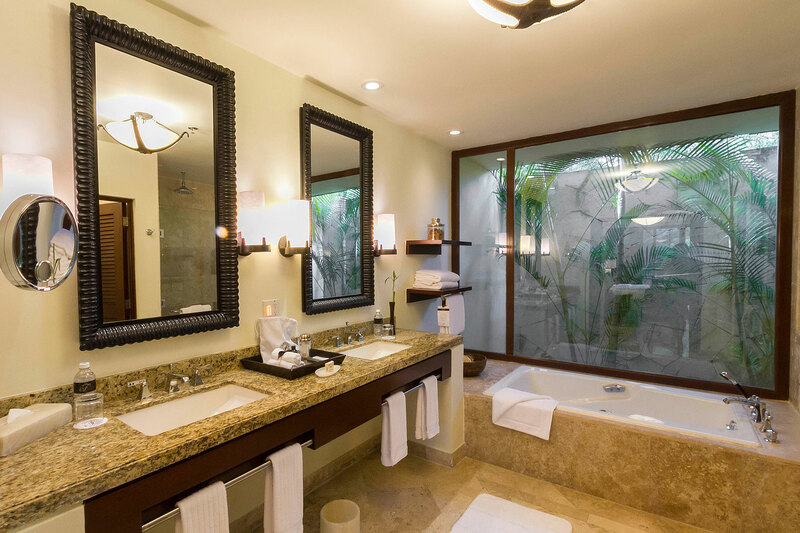 The bathrooms are beautifully stylish with cream marble floors and walls and feature a large oval tub with views over a screened private garden. The walk-in shower has a large rain-shower head as well as a regular shower. There is a large double vanity and all the amenities you need for a comfortable stay including branded toiletries, slippers and bath gown, hair-dryer and even weight scales. Each casita has a terrace or balcony with outdoor seating. 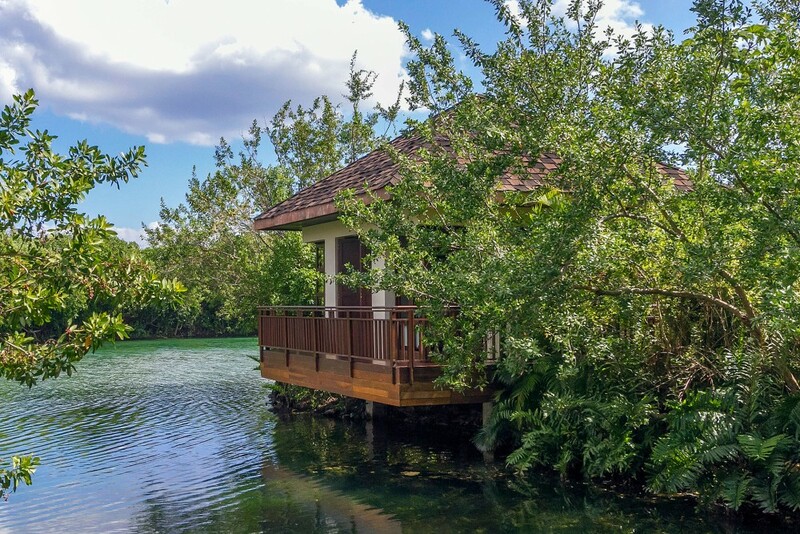 The Deluxe casitas overlook the gardens or mangroves, whilst the Signature Casitas have tranquil views over the lagoons or canals. Here you can watch the birds and fish that inhabit this oasis. The Casita Suites are elegant and indulgent and provide a home from home base for you to enjoy this stunning location. 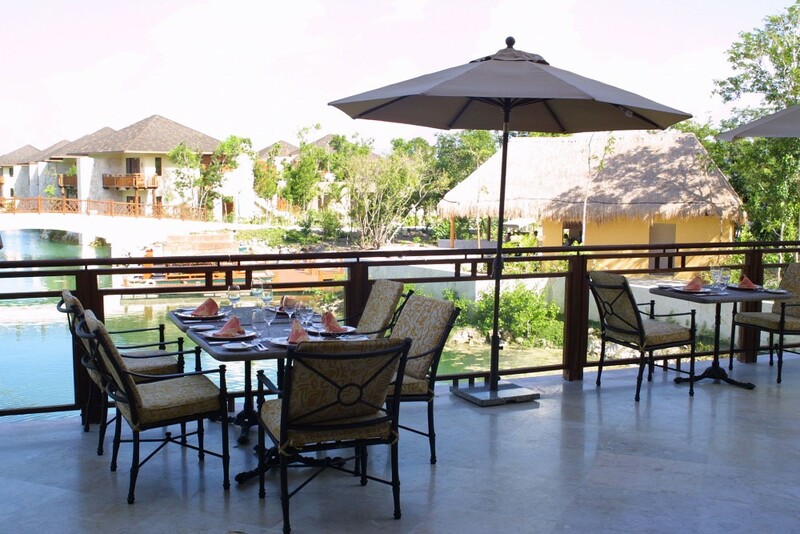 Signature Casita suites overlook the lagoons and canals and have a large wrap around terrace. 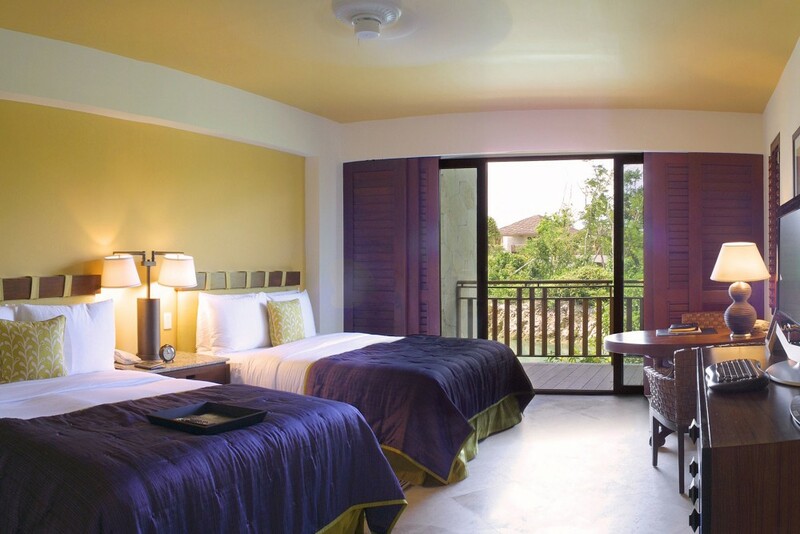 The Beachfront Suites have double doors opening onto a large deck with direct beach and ocean views. The deck has comfortable sun loungers and a plunge pool. 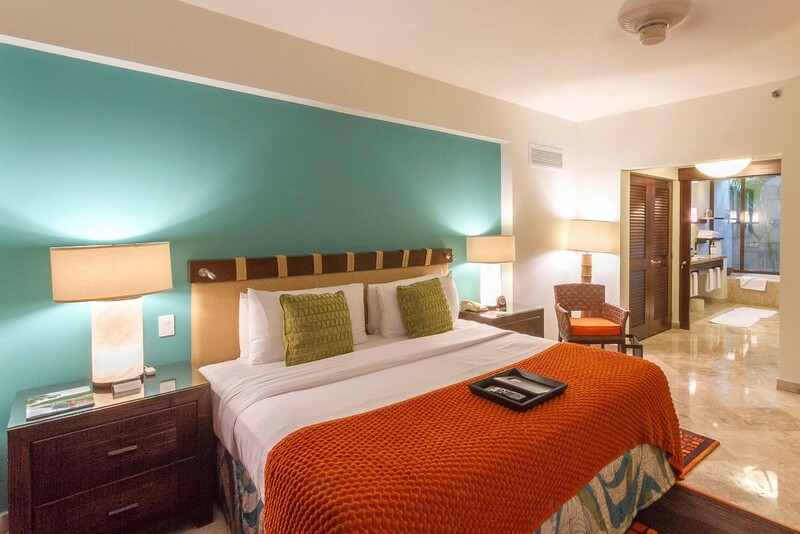 This suites can be offered in conjuction with an Beachfront Casita to make a Two Bedroom Suite. There are also Beach Area Casita Suites that are in the beach section of the property but face the lagoons. 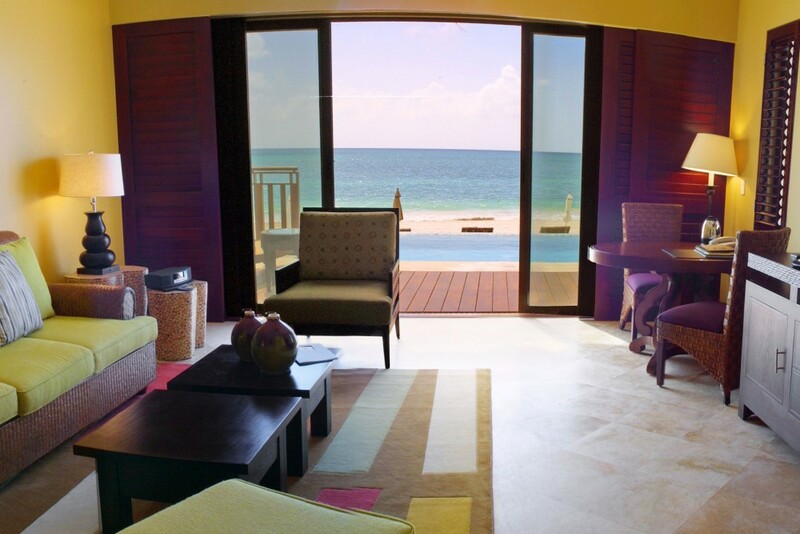 These suites don’t have ocean views but they are close to the beach. The Suites have a large sitting room with a sofa (which converts into a bed) and easy chairs. This is a lovely space to relax and unwind. There is a plasma TV and CD player. The bedrooms have a king or two double beds and a large luxurious bathroom. The rooms have air conditioning, high speed Internet access, CD player, mini fridge and ironing board and iron. The Fairmont has a great selection of restaurants and bars offering a diverse range of eating options to suit all occasions, from a romantic, intimate dinner to casual lunch by the beach. The three main restaurants, Las Brisas, La Laguna and El Puerto are each located in a different section of the resort. 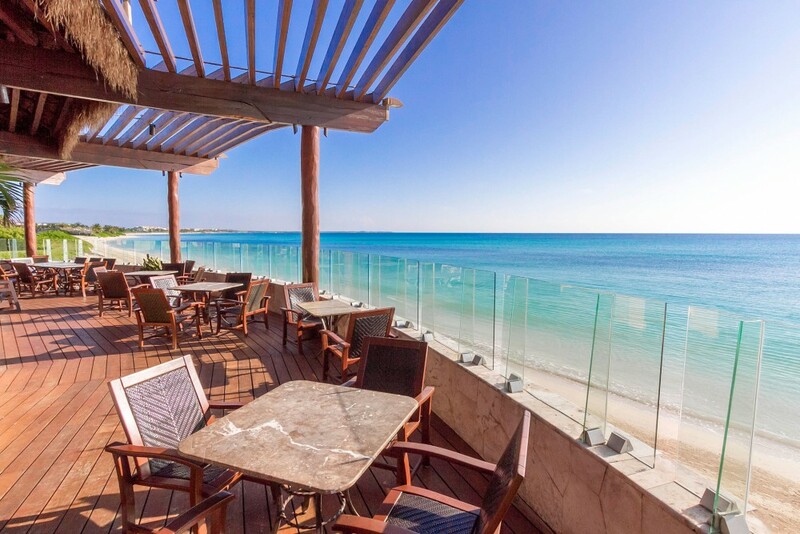 Las Brisas is located by the beach and is a sophisticated elegant option for dinner but in the daytime offers a more casual dining experience on the terrace overlooking the ocean. La Laguna is open all day for breakfast, lunch and dinner and has a more casual atmosphere. It’s a good choice for families. El Puerto is located in the main hotel building with a terrace overlooking the lagoon and is a romantic choice for dinner. The lobby bar is a great place to meet in the evenings for a cocktail and a chat. The bar has huge windows overlooking the whole of the resort. In the evenings you can enjoy a selection of tapas accompanied by live music daily. 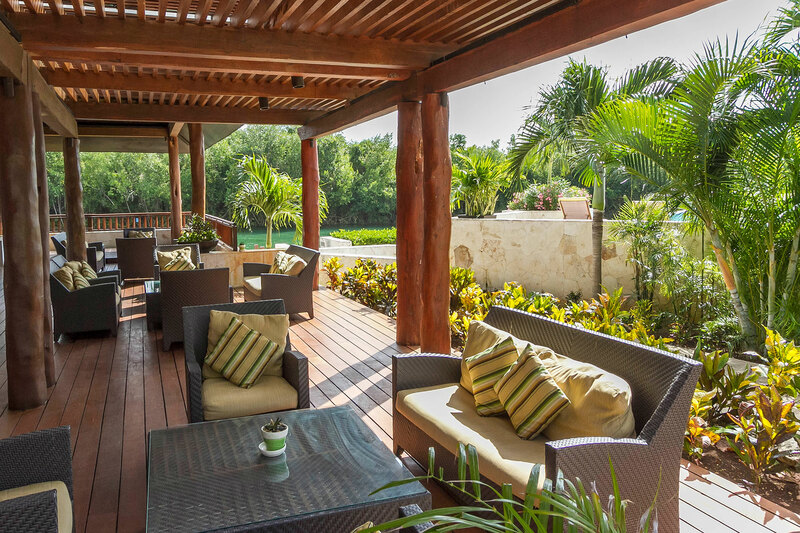 Cafe Maya is the resort’s deli and offers a great selection of drinks and snacks, from gourmet coffees and teas to freshly baked bread and continental cheeses and wine. El Puerto specializes in locally caught seafood. Dishes include oysters, scallops, clams and shrimps. 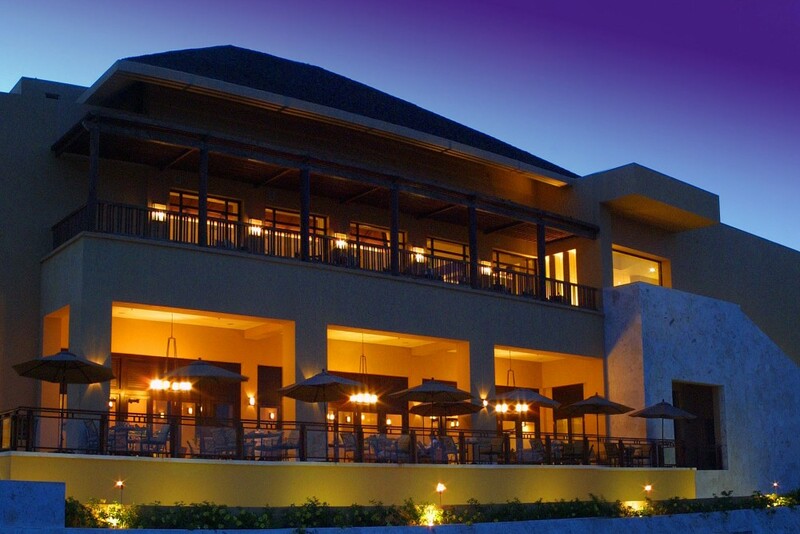 The restaurant is located in the main building overlooking the lagoon. There is seating in the elegant air-conditioned restaurant and tables on the terrace beneath the stars with views over the lagoon. This is an intimate and cozy place for dinner. Reservations are recommended and the dress code is smart casual. After a superb meal, why not end your night enjoying the stunning views over the resort from the El Lobby bar located on the top floor of the main building? La Laguna opens all day for breakfast, lunch and dinner. 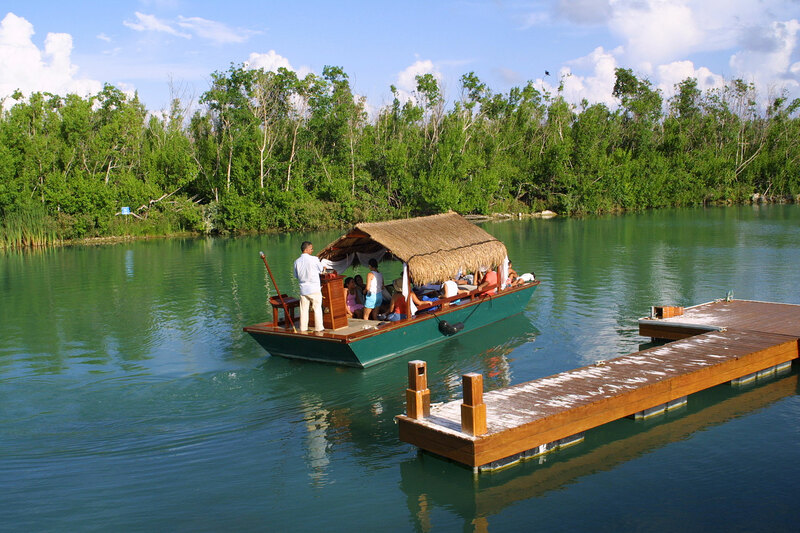 The restaurant is on the edge of a lagoon and offers a casual dining option. At breakfast you can order a la carte or choose the excellent breakfast buffet that includes omlette, quesadilla and waffle stations. At lunch there is a good selection of sandwiches, salads and pizza from the wood fired oven. The air-conditioned restaurant interior is light and airy; it’s a great place to cool off from the heat of the day. 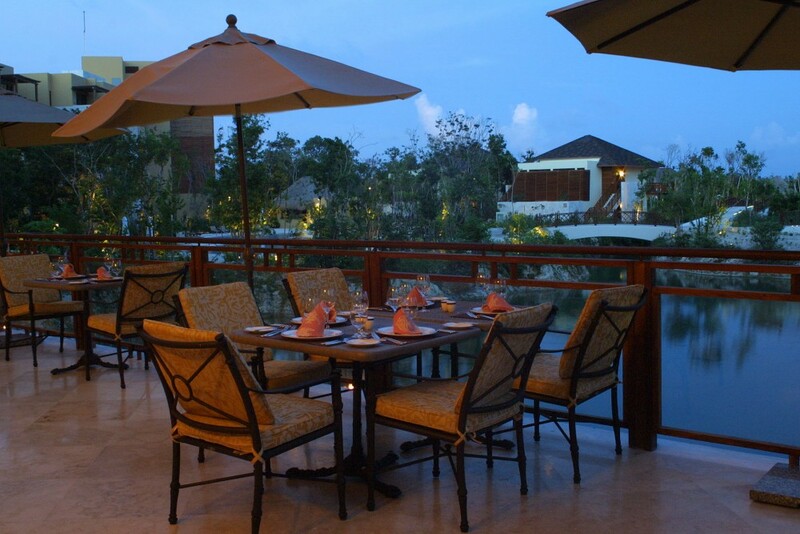 There are also al fresco tables on the terrace overlooking the lagoon. This restaurant is near to the biggest pool complex at the property, so older kids can continue with their fun while adults retreat to the shade for a drink. 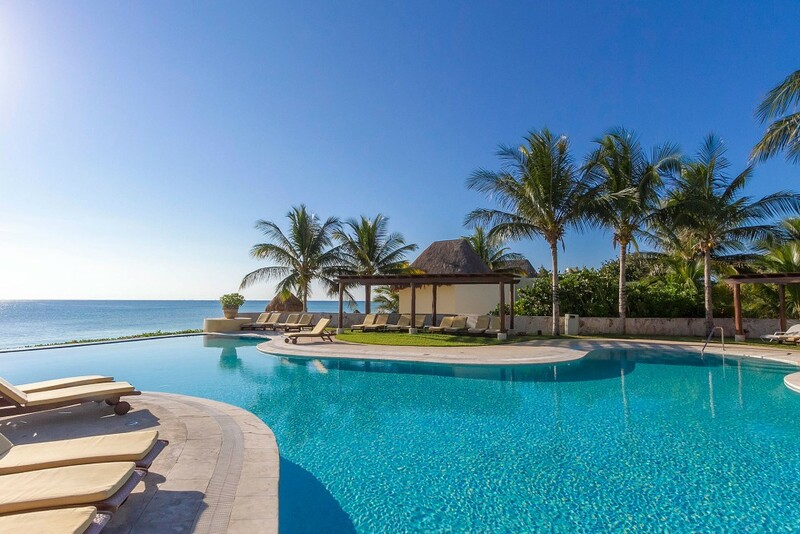 Las Brisas is located right by the edge of the beach. This is an elegant choice for dinner, specializing in international contemporary cuisine. Tables are beautifully and stylishly set. Candle light and soft music add to the romantic ambiance. The dress code is smart; no T-shirts or shorts are permitted. Reservations for dinner are required. For a more casual experience you can eat on Las Brisas Terrace which has tables directly overlooking the beach. The Terrace is a great place to enjoy drinks, including cocktails, wine and margaritas. A selection of light bites and snacks are available from 10.00 am – 5.00 pm. 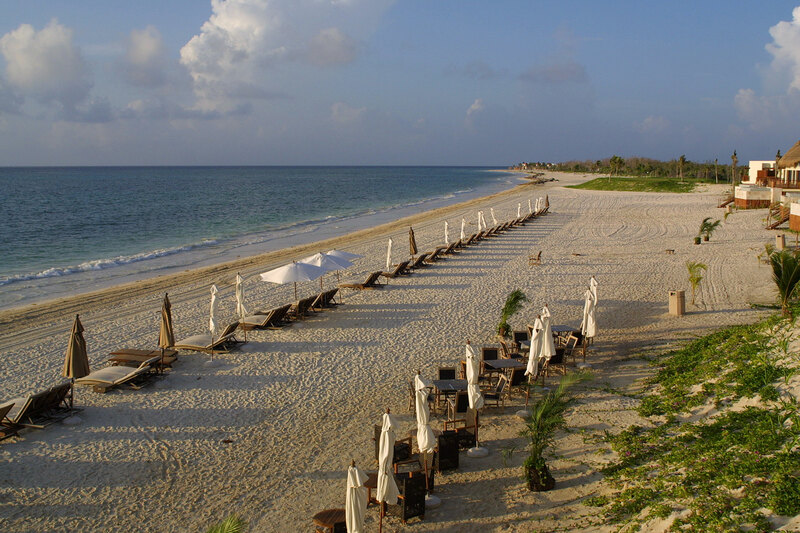 The Mayakoba estate features pristine Caribbean beaches edged by tropical mangroves and jungle. The sand is soft and white and the sea an amazing turquoise blue. The beach stretches as far as the eye can see in both directions. It is perfect for long lazy walks by the water’s edge. Down on the beach there are plenty of comfortable sun beds and parasols. There is an attentive but unobtrusive service and you can order drinks and cocktails. A good snack menu is available from Las Brisas Terrace with dishes perfect for enjoying from your beach chair, including tasty sandwiches and burgers. 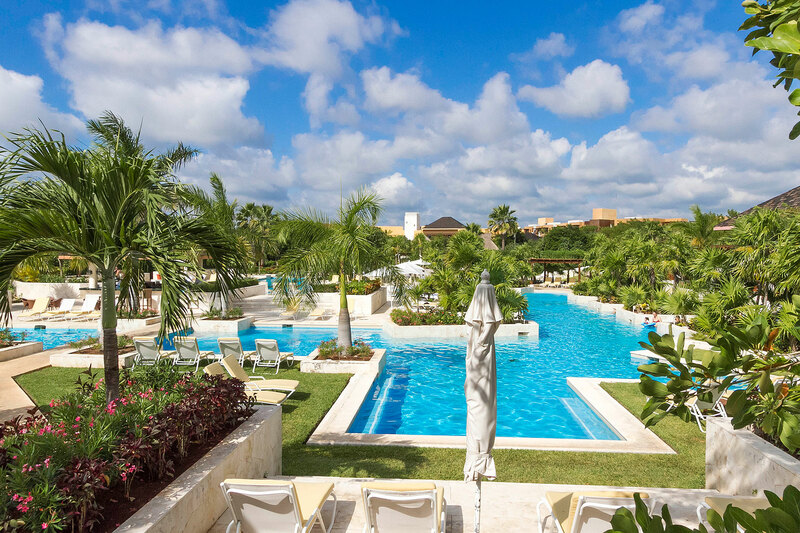 The Fairmont Mayakoba has the most swimming pools of all the Mayakoba properties, which is one of the reasons why this hotel is such a fantastic choice for families. 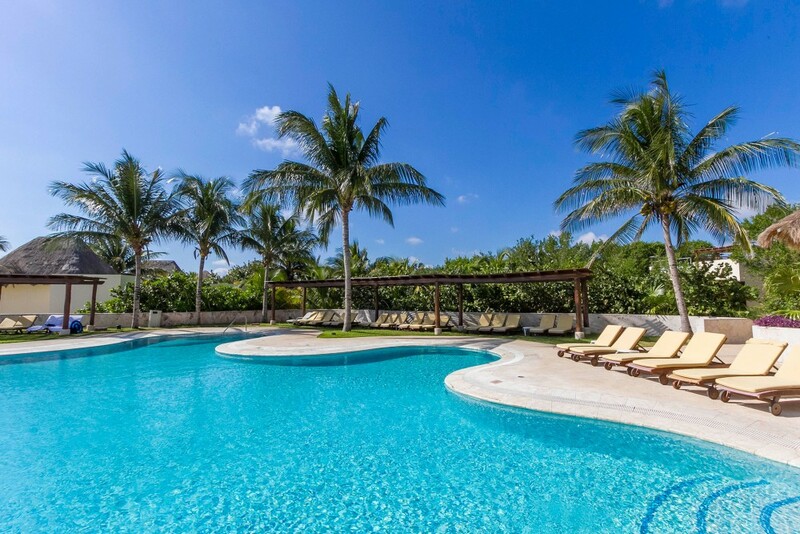 There are spectacular pools with islands, bridges and slides, quieter pools reserved for adults only, and a beautiful infinity pool by the beach. The beachfront pool is great place to relax within sight of the ocean, and cooled by the sea breezes. 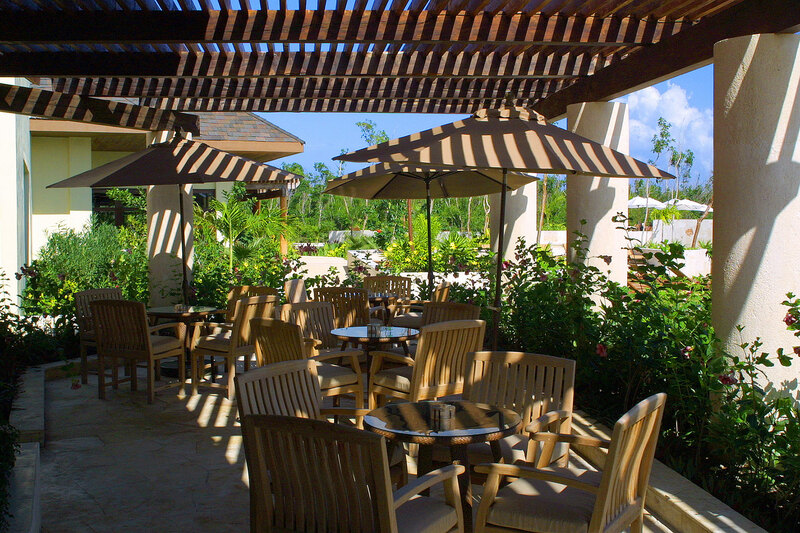 Las Brisas Terrace restaurant is just steps away and open for lunch. La Isla is the resort’s main swimming pool – actually a cluster of pools surrounded by sun beds, shades and gazebos, as well as tropical plants. It is a clever design which means that guests can enjoy a small quiet area of the pool or choose one of the busier larger parts. There is children’s pool with slides to keep younger guests entertained at one end. 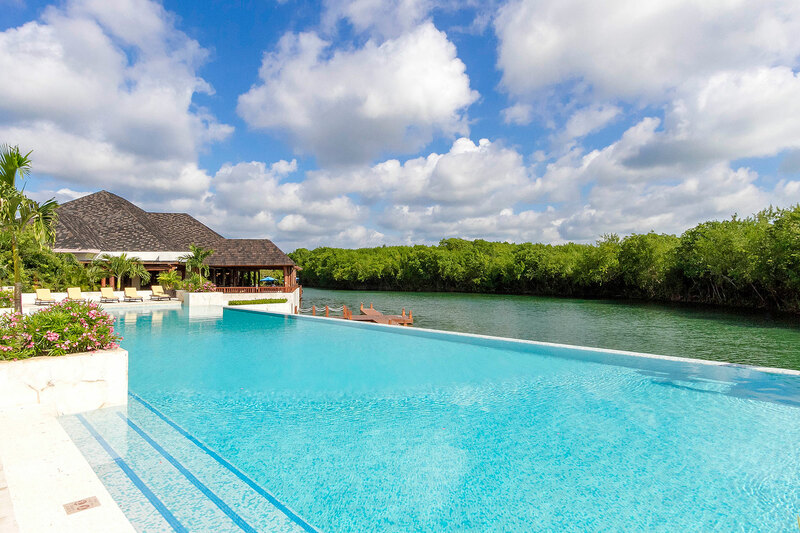 At the opposite side of La Isla there is a large infinity pool overlooking the lagoon which is for adults only. Staff are on hand to pamper you, bringing you drinks and cool towels. 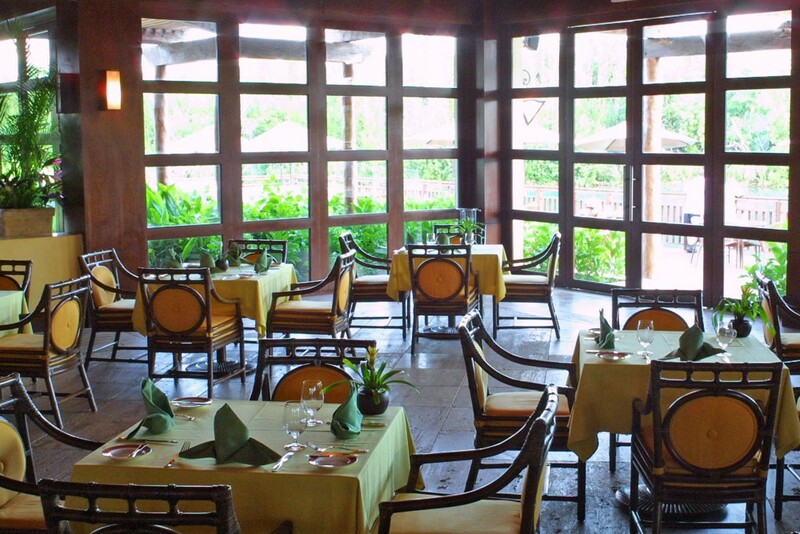 La Laguna restaurant is close at hand for lunch and Cafe Maya is also nearby for snacks and drinks. In the Bamboo Section of the hotel there is a lovely quiet pool which is a great place to hang out. All guests can use any of the swimming pools, regardless of the location or category of their accommodation. Willow Stream Spa offers an extensive range of treatments to pamper and relax you during your stay. The spa draws on traditional Mayan elements and techniques for their treatments. There are wonderful outdoor treatment areas facing the tropical jungle as well as luxurious indoor treatment rooms. 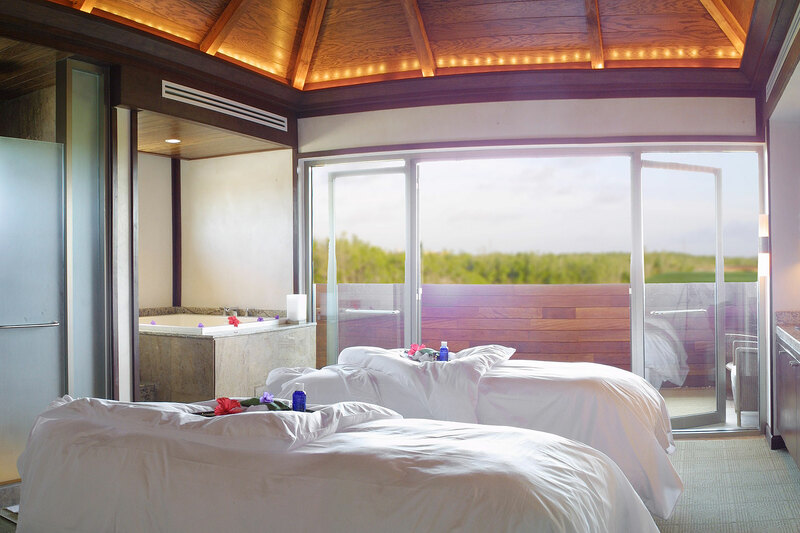 Couples will love the romantic spa suite where treatments can be enjoyed together. There are male and female changing facilities which feature swiss showers and Jacuzzis set in pretty private gardens. 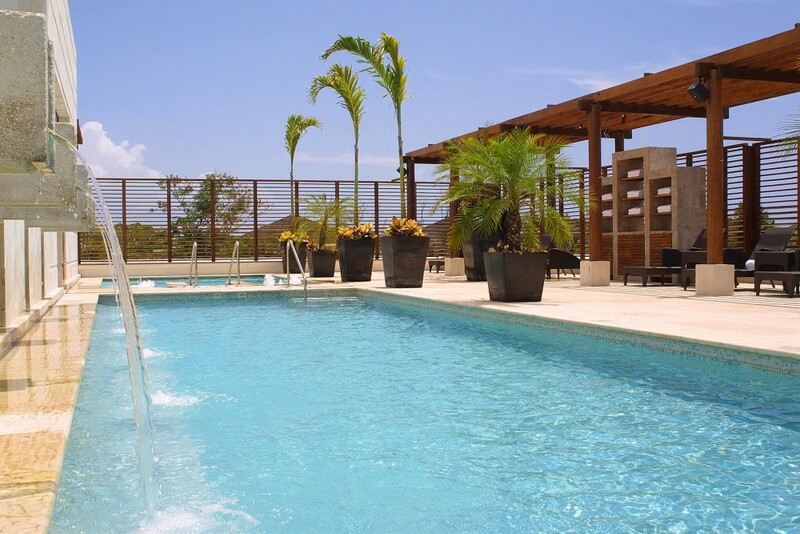 On the rooftop there is a swimming pool, soaking pool and a sun deck. There are an excellent range of customized massage, facial and body experiences, as well as special treatments for men, and wonderfully luxurious spa packages. 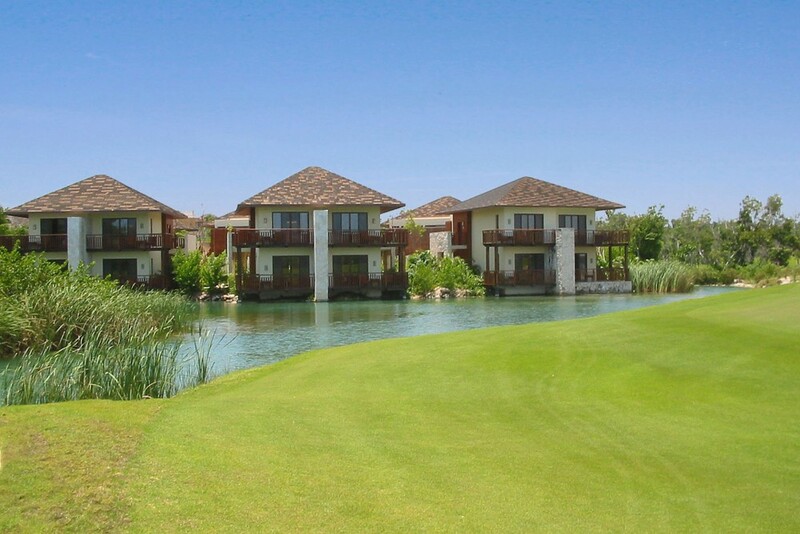 The Mayakoba estate has an 18-hole, 72 par championship golf course. 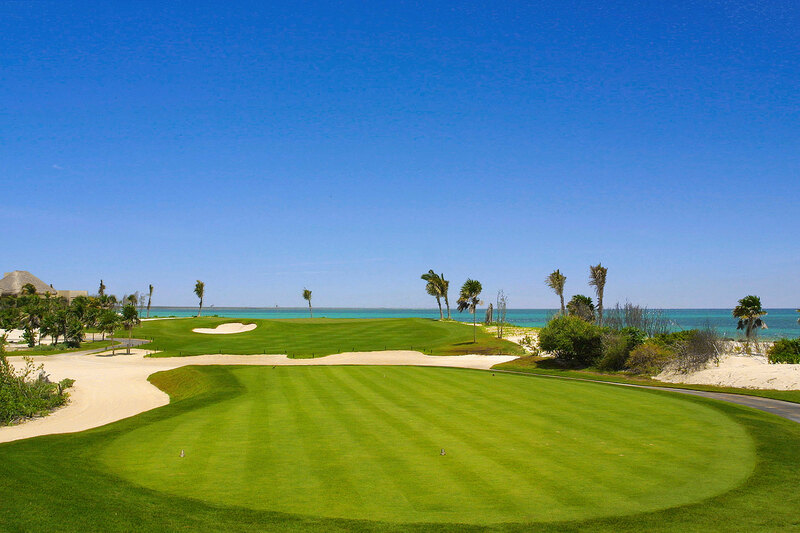 El Camaleón is a stunning course which borders the turquoise waters of the Caribbean. 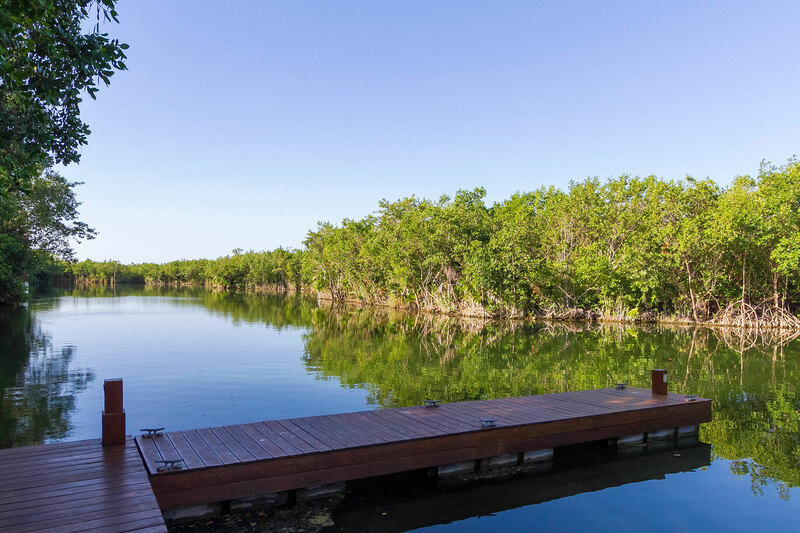 It’s edged by sand dunes and mangroves and even has a cenote close to one of the holes. You’ll also find a driving range and putting green, plus a clubhouse with changing rooms, showers, golf shop and a restaurant and bar. Golf carts, shoes and equipment are all available to rent. The nearest airport is Cancun – by road the journey to Mayakoba takes around an hour. From Cancun Airport, take a right (going south) to Highway 307 and follow the sign ‘Tulum -Chetumal’. 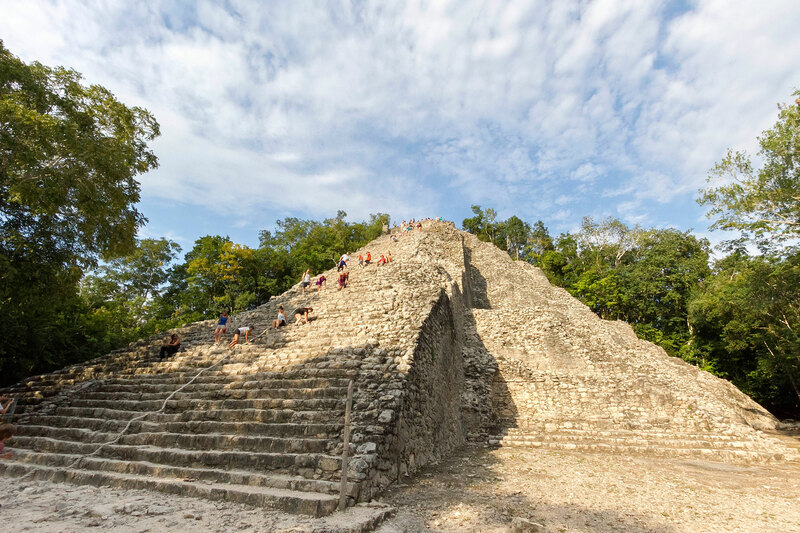 Approximately 22 miles down the highway you will enter into the town of Puerto Morelos. Continue on for about 7 miles and on your right you will see the entrance to Mayakoba. Once through the main gate, the Fairmont is well signed. © Different World 1997 - and/or its suppliers. All rights reserved.